I am so looking forward to discussing our first book club book next week! For those of you who want to jump on the book club bandwagon, please do! 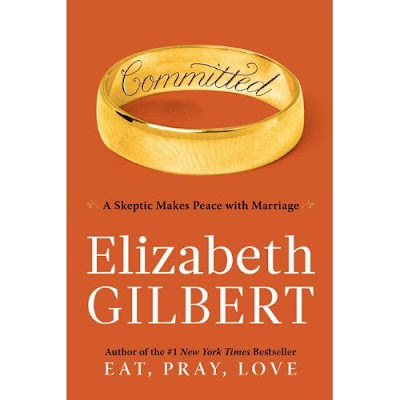 We're reading Committed by Elizabeth Gilbert (see description below). I'm looking forward to discussing the book next week! Yay! I'm about 1/4 of the way through so I need to step on it.. I've been antsy in my pantsy to read this one. Looking forward to this - on my library list! Loved Eat/Pray/Love. Okay, I haven't picked it up yet. Right now, I'm actually in the middle of her previous memoir, Eat. Pray. Love.. But I will definitely pick this up soon since I'm in the middle of wedding planning. I love her writing style. Actually I saw an online lecture of hers, and I couldn't wait to pick up her first memoir.